Lauren had one simple request for Santa: Puck. Look for her to get her wish on season two of Glee. 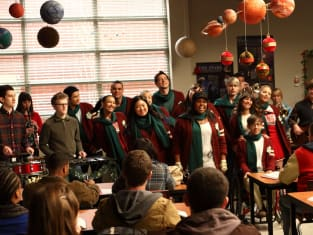 Ready for A Very Glee Christmas? Mercedes leads the group in this carol. Reach for the stars, Santana and Finn. Always reach for those stars. Do you find Will's affection for Emma to be cute? Or kinda creepy? Will Emma and Will ever get together? The former's marriage to Carl has thrown up quite the obstacle. Who doesn't love a game of Secret Santa? The William McKinley teachers will play this on the show's Christmas episode. 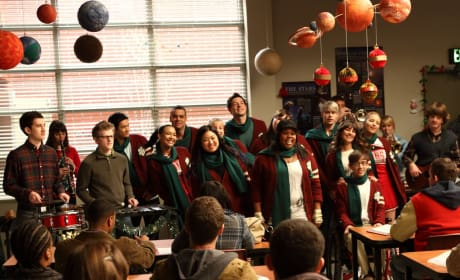 It's a Glee Christmas, folks. 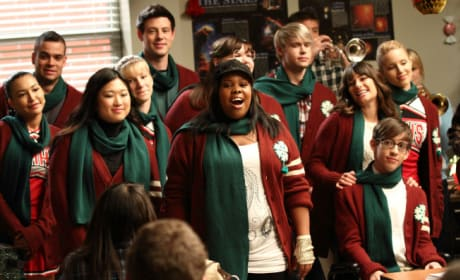 Actually, correction: It's a VERY Glee Christmas!